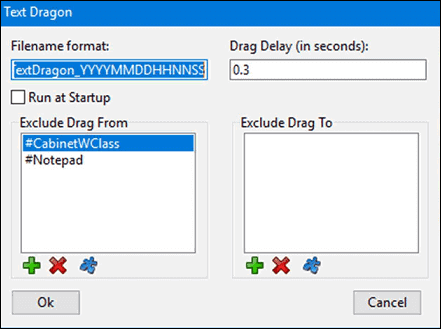 Text Dragon is a lightweight software for drag and drop assistance on Windows. It keeps working in the background and assists in dragging and dropping any text directly from one application to the edit box of another. This app is very particular about the format and gives space to 3 options “Text”, PDF, and HTML in case of dropping. It helps you to perform the similar kind of job in the Explorer window or on the desktop even during the formatting.